Monday, 14 January 2019, 12:44p.m. 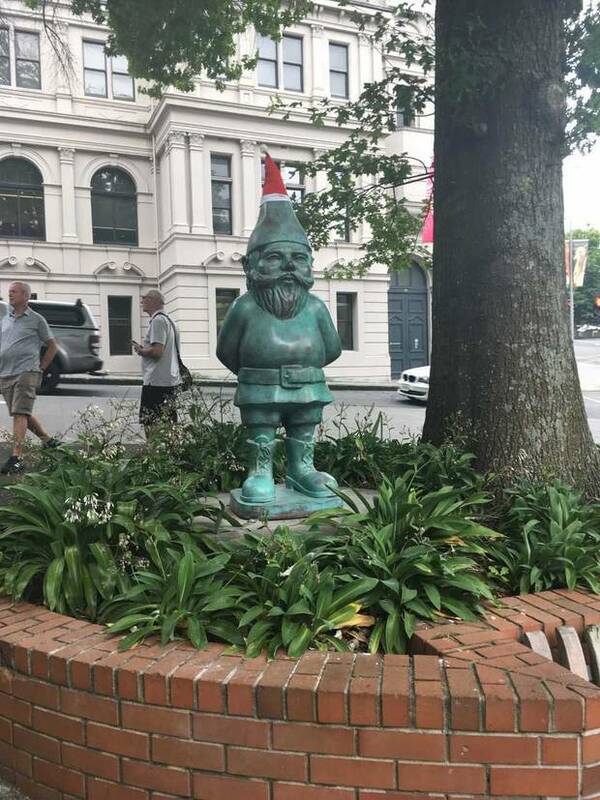 Brazen art thieves donned hi-vis vests and spent an hour removing a 2m tall bronze gnome from outside an Auckland art gallery. The sculpture, named Thinker, by renowned artist Gregor Kregar, retails for $55,000 and was barely outside Gow Langsford Gallery for a week before it was nicked. Gallery director John Gow said the gnome was installed the week before Christmas and was deemed "very festive". Gow said the thieves removed the statue from its footing on the plinth on the corner of Wellesley and Kitchener Sts, opposite the Auckland Art Gallery, early on Christmas Day before putting it into a vehicle parked outside the Gallery's Kitchener St entrance. Gow Langsford had exhibited works on the plinth for the past 20 years and said this was the first time there had been any incident.